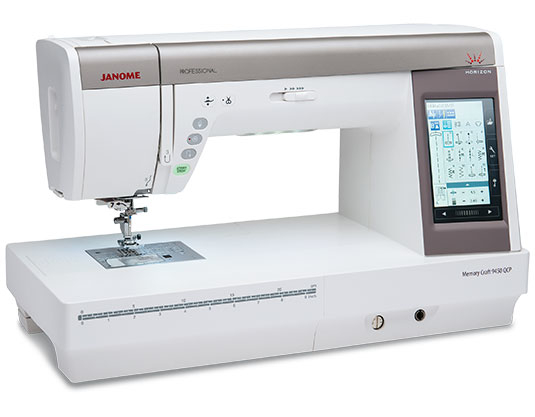 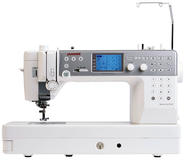 The Janome Memory Craft Horizon 9450QCP is the latest machine to take sewing to the next level! 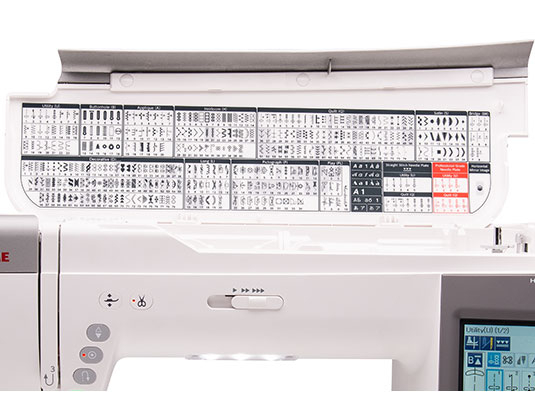 This machine has the same design DNA as other Professional Series models. 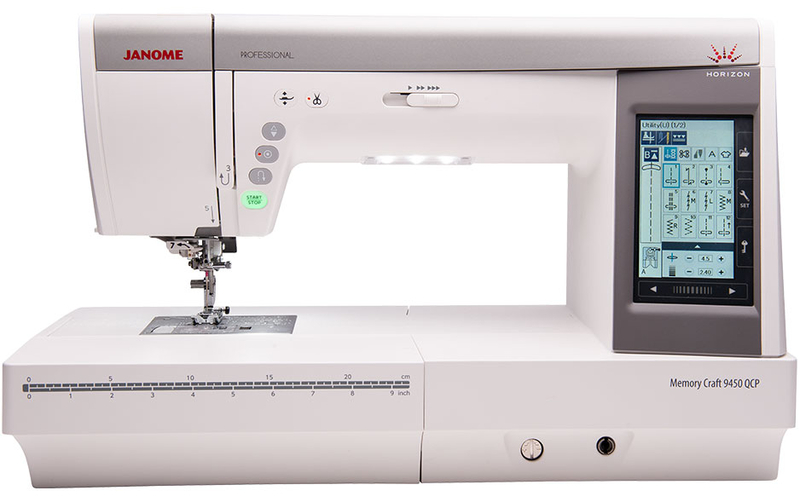 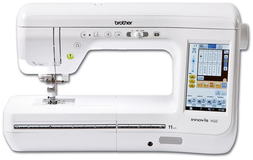 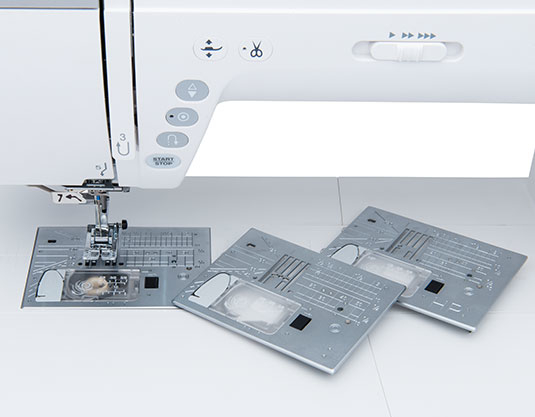 The Horizon Memory Craft 9450 QCP has all the features you require to simply sit relax and sew. 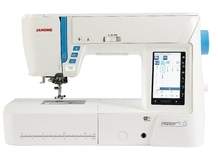 The Janome MC9450 has a large LCD colour touch screen makes it so easy to explore through the 350 built-in stitches, including 11 one-step buttonholes and 7 alpha numeric fonts including 9mm lettering and numbers. 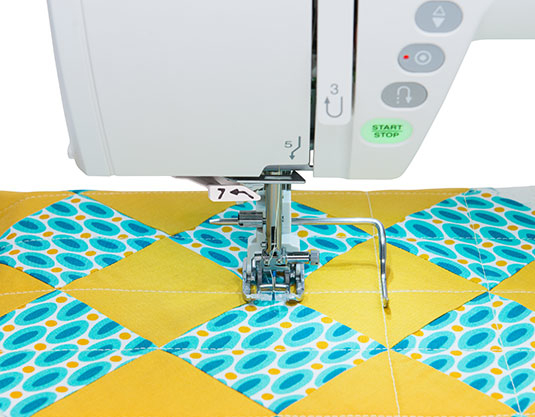 You can customize each stitch, including buttonholes, plus save as a favourite stitch. 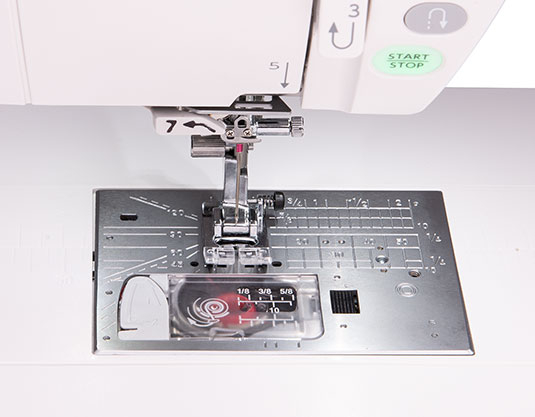 Sewing Applications gives you a variety of pre-set stitch functions, ready to sew zips, blind hem, buttons, quilting, ruler work, patchwork and lots more. 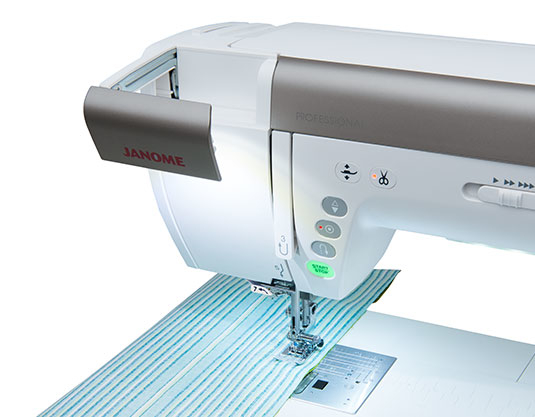 With the Janome MC9450 is ideal for large quilts, bridal dresses and greater home furnishing projects. 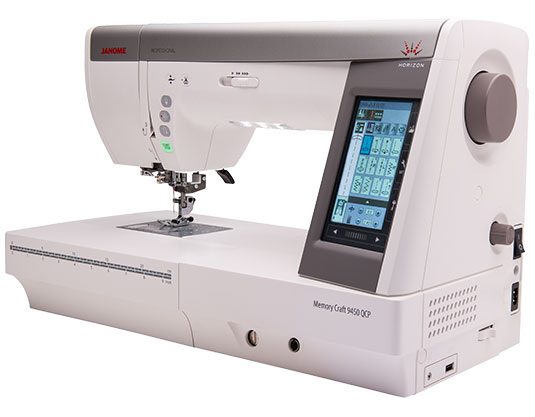 Rest assured this machine also offers spectacular stitch quality. 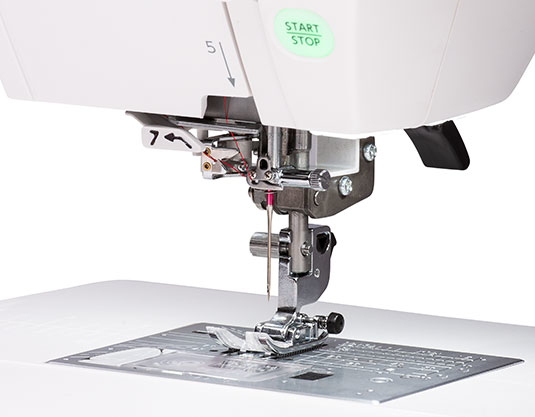 Accomplish quicker performance with a sewing speed of 1,060 SPM and view their projects, shadow-free, with the machine's Built in LED Lights, with 3 LED’s in the Throat area & 6 in the Needle area. 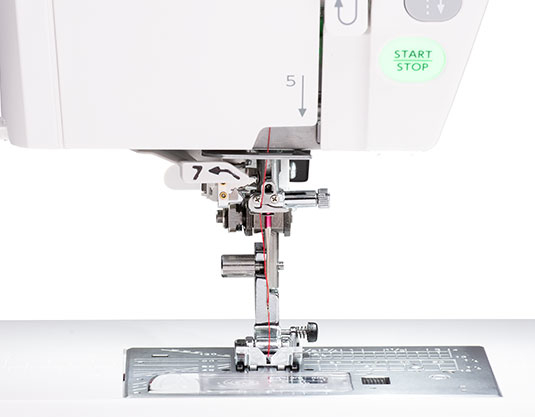 New Thread Guide to make threading even easier! 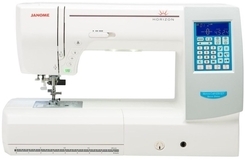 Approximate Machine Weight - 13.2 kg. 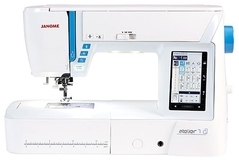 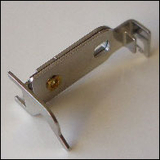 Are the accessories for Janome MC9400 compatible with this new MC9450 model? 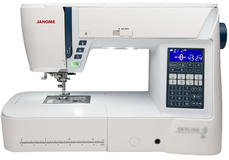 Answer 1 : Yes, the accessories for the Janome MC9400QCP, will be compatible with the Janome 9450QCP.